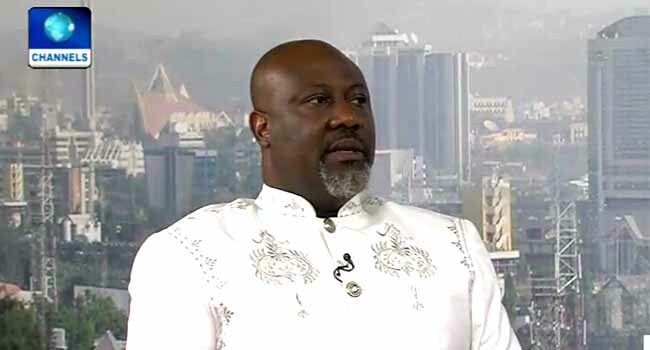 The senator representing Kogi West, Dino Melaye says he stands by his position to appear before the police only in Abuja, as he believes his safety cannot be guaranteed in Kogi state. In the letter, the lawyer made an appeal to the police boss to intervene and allow the senator submit himself to the police in Abuja. His comments come shortly after the Police gave a final warning to the senator, noting that the command would obtain an arrest warrant and declare him wanted if he failed to show up on March 28. In a statement issued on Saturday, the Force Public Relations Officer, Jimoh Moshood accused Melaye of failing to honour several past invitations. Speaking further, Moshood noted that a letter had been sent to the Senate President, Dr Bukola Saraki on March 2 asking Melaye to appear before the Kogi state police command headquarters to answer to the allegations against him, yet there was no response. According to him, the senator is wanted on grounds of criminal offences of conspiracy and unlawful possession of prohibited firearms. The statement read in part: “As we speak, Sen. Dino Melaye despite the letter sent to the Senate President, refused to honour Police Invitation till date and also refused to appear in court and has also continued to evade the service of criminal summon on him to appear before the Federal High Court, Lokoja on the 28th March, 2018 to answer to the charge of Criminal Conspiracy and unlawful possession of prohibited firearms against him and Mohammed Audu. “The Nigeria Police Force is therefore using this medium to advise Senator Dino Melaye and Mohammed Audu in their interest to comply with the order of the court and appear on 28th March, 2018 before Federal High Court, Lokoja to answer to the criminal charges against them. “If they continue to be evasive and fail to comply with criminal summon issued on them by the Federal High Court, Lokoja to appear on 28th March, 2018 to answer to the criminal charges of Conspiracy and Unlawful Possession of Prohibited Firearms against them, the Force, will obtain Warrant of Arrest for the arrest of Senator Dino Melaye and Mohammed Audu and will definately declare them wanted throughout the country and on INTERPOL platform for them to be arrested in any country where ever they are sighted and handed over to the Nigeria Police Force for continuation of their trial.